Featuring contributions from leading global experts, this authoritative volume addresses all major areas of stem cell biology and their potential therapeutic applications. The first part of the book covers embryonic stem cells and contains details on the emerging field of embryonic stem cell-based drug screening platforms. 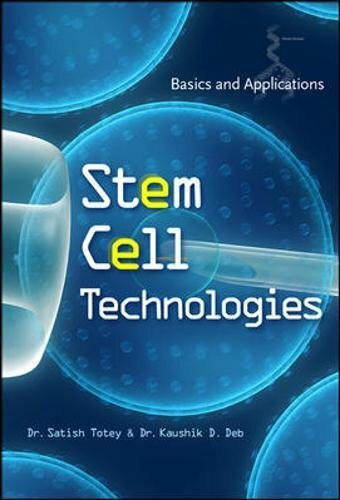 The second part deals with multipotent adult stem cells from different tissue types, and covers unique concepts such as cancer stem cells and tissue engineering-based approaches for designing microenvironments for tissue regeneration. Eighty pages of inserts with 113 color figures are included in this pioneering work. This entry was posted in stem cell book and tagged Applications, Basics, cell, stem, Technologies. Bookmark the permalink.